Receiving a gift of gorgeous pink bouquet, women sometimes I want to keep this beauty. They go to various tricks, trying to implant the flowers, and then to grow rose bushes in your garden. Implant purchase rose not as easy but quite possible. 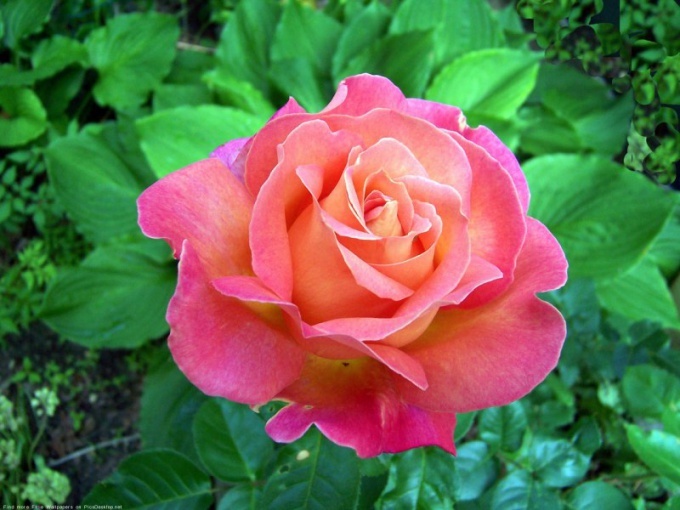 The success of this operation will vary depending on the origin of the rose, its varieties and quality of presales. If rose cut a long and for a better safety of is treated with special preservatives, rooting it is unlikely. If the rose is fresh, you can try to do it. However, even in this case, to grow a gorgeous rose Bush in the garden is unlikely to succeed – for cutting greenhouse grown roses are not adapted to the conditions of open ground and the harsh winter. If the desire to plant a rose is not lost, you can try to root it in different ways. After wilting buds need to cut the cuttings from the stems, this will need a sharp razor. From a single rose stem can be cooked a few cuttings in each section of the stem need to leave three buds. The lower section is made under the sheet, it must be at an angle of 45 degrees, and the top should be made on the kidney, and to be perpendicular to the barrel. The lower leaves should be broken off, the top can be left. You should then put the cuttings in a solution of IAA or Kornevina" for 10-12 hours, then plant in soil nutrient tilted at a 30 degree angle, buried to the average level of the kidney. The soil around the cuttings need to compress and shed water. Each cutting should be cover cropped in half a plastic bottle, unscrewed the cap (for ventilation). To keep the right climate, the cuttings should be periodically sprayed with warm water and pour, not omitting the drying of the substrate. After 3-4 weeks the buds will be fresh shoots and roots formed tiny roots. After another 2-3 weeks you can transplant the seedlings to a permanent place in the garden or large pot. For grafting roses used the same technology, but then the cuttings should be put in water with a solution of IAA" in a bright place, without direct sunlight. Better to take a tall plastic bottle so that the cuttings fit in it completely. That will also create a microclimate with high humidity, which is necessary for the formation of roots. After 2-3 weeks on the lower edge of the cuttings is a white growth of a callus, which represents the beginnings of roots. After that, the cuttings planted in a pot and doraschivayutsya to the optimum state. This method is more time consuming and not always gives the desired result. However, the first method does not guarantee success. It is better to simultaneously use both methods to increase the chances of successful outcome of the operation. Of great importance is the time of propagation, and characteristics of varieties of roses, which is expected to be propagated. The best time for this procedure is the second half of the summer and early fall. In the winter, to get good results is unlikely.